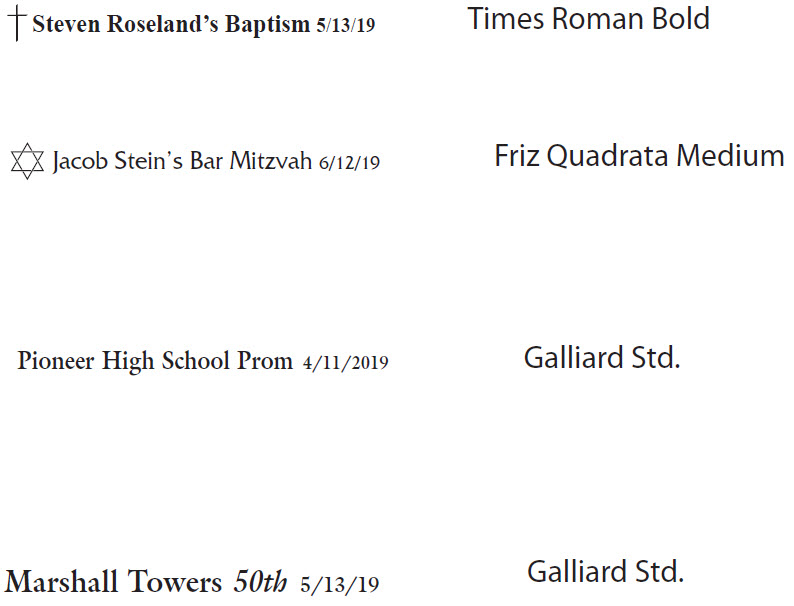 Select OneTimes Roman BoldFriz Quadrata MediumGallaird Std. When will I get my order? : Orders are processed in 1 week after proof approval. Then refer to this map (Click here for map) to calculate the additional shipping time from Iowa. A silver base sparkles thorough these shiny custom imprinted pens. 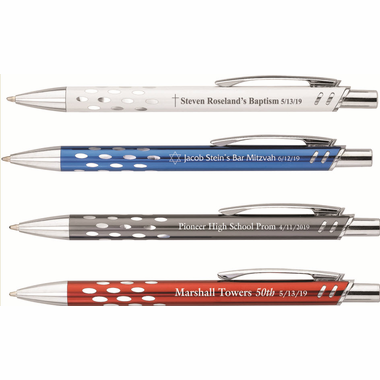 Each medium-point retractable pen with black ink comes in four colors: red, blue, white, and gun metal. The laser engraving on the white pen is darkened, while the imprint on the other pens is silver in color. Each pen has an imprint area of 2" w x 1/4" h and is individually bagged. Please send us your contact information and write the words "Complimentary Grippy Socks" in the Subject Line. Click here to send us your request: info@cool-party-favors.com. 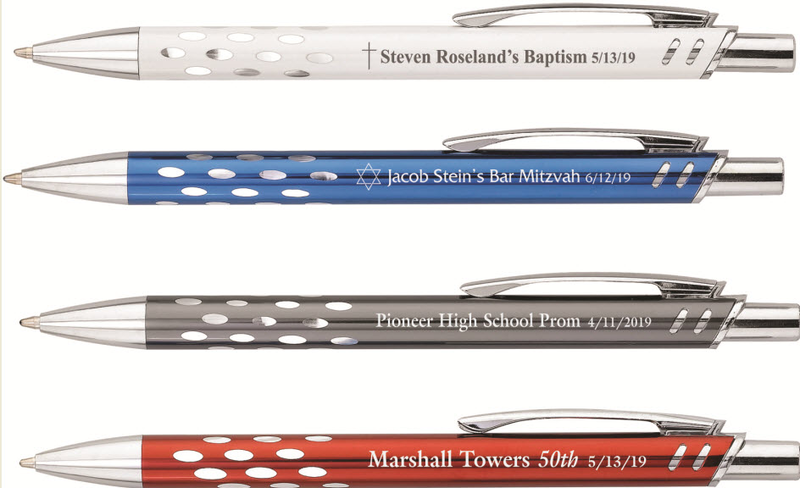 Request a sample at no cost and indicate the color you would like to see by sending us your request to: info@cool-party-favors.com. . Write the words "1532Shine Pen" in the Subject Line. You will receive a proof for your approval before printing.